Niklas Luhmann was a German sociologist, and a prominent thinker in systems theory, who is increasingly recognized as one of the most important social theorists of the 20th century. Luhmann wrote prolifically, with more than 70 books and nearly 400 scholarly articles published on a variety of subjects, including law, economy, politics, art, religion, ecology, mass media, and love. While his theories have yet to make a major mark in American sociology, his theory is currently well known and popular in German sociology and has also been rather intensively received in Japan and Eastern Europe, including Russia. 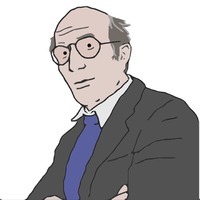 His relatively low profile elsewhere is partly due to the fact that translating his work is a difficult task, since his writing present Niklas Luhmann was a German sociologist, and a prominent thinker in systems theory, who is increasingly recognized as one of the most important social theorists of the 20th century. 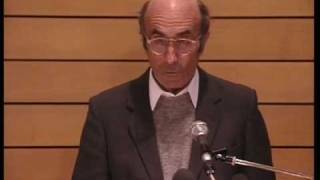 Much of Luhmann's work directly deals with the operations of the legal system and his autopoietic theory of law is regarded as one of the more influential contributions to the sociology of law and socio-legal studies. Luhmann is probably best known to North Americans for his debate with the critical theorist Jürgen Habermas over the potential of social systems theory. Like his one-time mentor Talcott Parsons, Luhmann is an advocate of "grand theory," although neither in the sense of philosophical foundationalism nor in the sense of "meta-narrative" as often invoked in the critical works of post-modernist writers. Rather, Luhmann's work tracks closer to complexity theory broadly speaking, in that it aims to address any aspect of social life within a universal theoretical framework - of which the diversity of subjects he wrote about is an indication. Luhmann's theory is sometimes dismissed as highly abstract and complex, particularly within the Anglophone world, whereas his work has had a more lasting influence on scholars from German-speaking countries, Scandinavia and Italy.